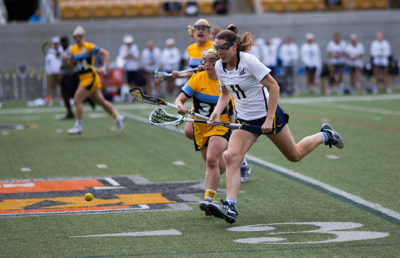 In a weekend of rivalries, the Cal lacrosse team didn’t step down or shy away from the challenge. Instead, it faced it head on and came out with some of the best performances of the season. On Friday, the Bears (4-11) took on UC Davis (6-9) and fought hard for a 15-12 win. And on Monday, they took on Stanford (10-4) — in arguably the most difficult and the most important match of the season, Cal came up short and lost, 15-12, in a gutsy effort. The Aggies matchup started off well for the Bears, who tallied 3 goals in the first five minutes. Before long, however, UC Davis regained its footing and began to find the back of the net. The aggression increased on both teams, and it quickly turned into a battle for the ball. The Aggies were able to slowly decrease Cal’s lead, and the half ended 9-6 in the Bears’ favor. UC Davis scored 3 goals to tie Cal in the beginning of the second half. 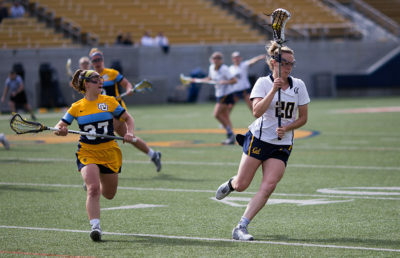 Just as it seemed like the Bears would lose energy, Cal followed suit with 3 goals of its own. The remainder of the game came down to who had the possession and could capitalize on it. 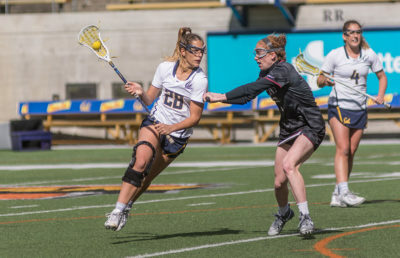 In the last few minutes of the match, the Bears had a surge of energy that allowed them to score 2 additional goals, which boosted them to a 15-12 win. This was the first win against the Aggies for Cal head coach Brooke Eubanks and the players. In the incredibly fast-paced game Monday, Cal managed to hold its own against Stanford, despite the final score. The Bears had a surprisingly quick start, scoring 2 goals in the first four minutes of the game. They managed to hold the lead until less than seven minutes remained in the half, when Stanford tied the score at 5-5. Both teams were playing with remarkable intensity and pace, and it was easily the best Cal has looked all season. At halftime the teams were once again even, 8-8. From there, Stanford controlled the majority of second half. 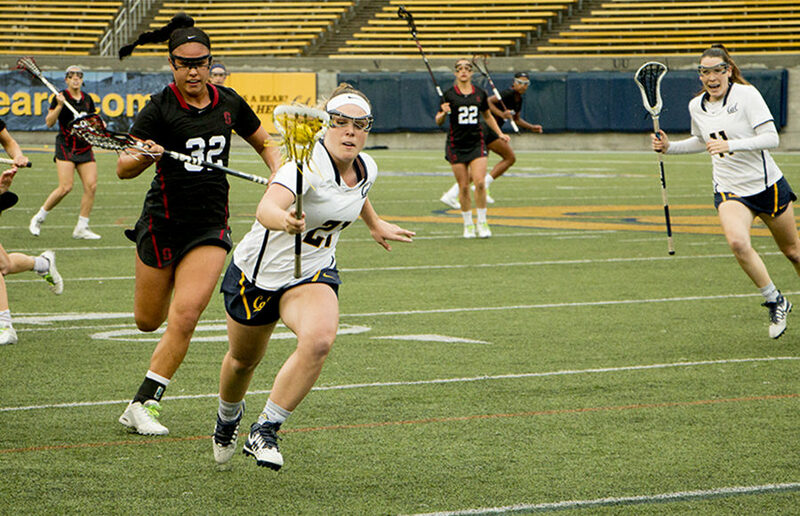 The Cardinal scored 3 goals to go up 11-8, and Cal wasn’t able to recover, although it didn’t let up. The teams continued to look well matched, and Cal scored 4 more goals before the end of the game. The star player of the weekend was, without a doubt, sophomore Caroline Corzel. She had 10 shots, 5 goals and two assists against UC Davis and continued wreaking havoc against Stanford with another 10 shots and 4 goals. Against both teams, Corzel seemed to be the most innovative and effective player on offense. As of Sunday, in between its two matches, Cal sat fifth in its conference. As the top six teams qualify for the MPSF tournament, this is a huge step for the Bears. Cal’s remaining games are against Fresno State, currently second-to-last in the conference, and against No. 9 Colorado, which is in second. If the Bears are able to finish out their season with performances similar to those against UC Davis and Stanford, there is almost no doubt that they will qualify for the tournament. Sophie Durham covers lacrosse. Contact her at [email protected].